The recent controversy over the ability of campus groups to place displays on Dallas Hall Lawn proved itself much ado about next to nothing. I don’t know why SMU decided to move all displays from Dallas Hall Lawn to MoMac Park. Perhaps administration officials were tired of the annual negative press surrounding the Mustangs for Life display. 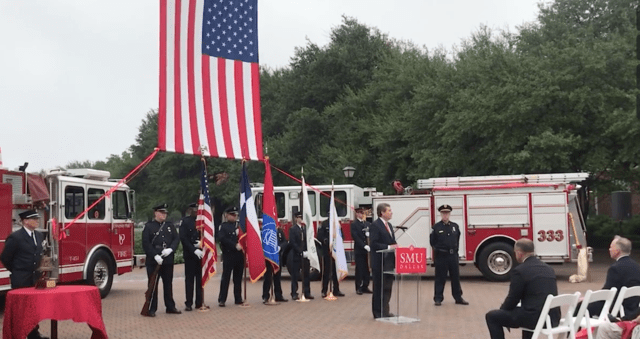 Perhaps, as Robert Lawson—faculty advisor for the SMU chapter of Young Americans for Freedom (YAF)—suggested in this paper, a mid-level administration official made the call, and President Turner did not know about the change until after the situation exploded. Perhaps the university simply needed to find a use for the somewhat awkward MoMac Park, and figured that displays would inject some life into the otherwise empty, unnaturally green lawn. Whatever its reason, the administration has now reversed the policy change. Yay. Big whoop. The change and its reversal were never, in my view, extremely important issues. Campus displays continued either way, and MoMac Park really could have used some added pizazz. The incident did, however, bring some major issues to light. First, YAF should be ashamed for empowering bad media coverage of the events, and for exploiting the tragedy of 9/11 in order to draw attention to itself and its political agenda. I am friends with several YAF members, and I know them to be good people. In my experience, they are professional, serious and kind. But this episode was below the dignity of any campus organization. We all watched the Tomi Lahren and Chad Prather videos—as well as the coverage from Fox News and other outlets—and if you didn’t, you should have. This was “Fake News!” at its finest. 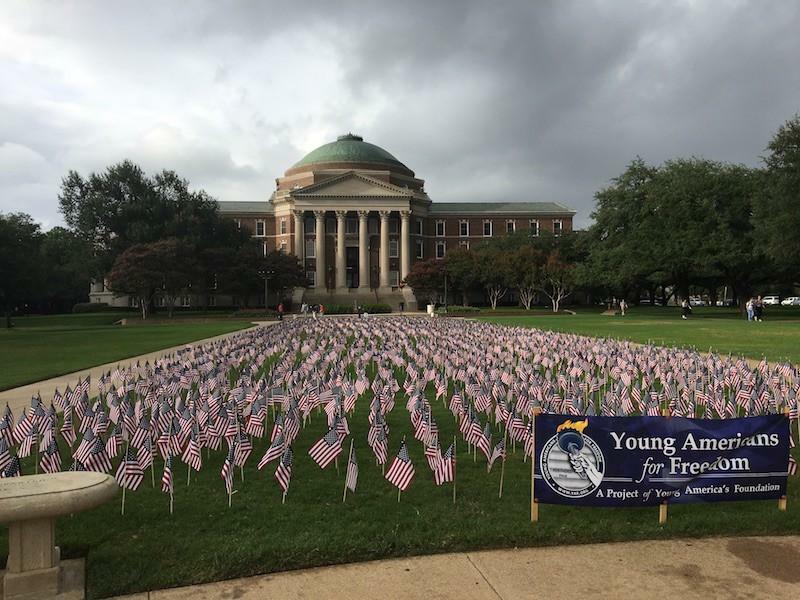 YAF’s request for a lawn display was not, as so many outlets claimed, “denied.” This was patently not about students being “triggered” by YAF’s 9/11 display. Of course the university and its students support the display—that never should have been a question, and I suspect it wasn’t really a question for YAF either. 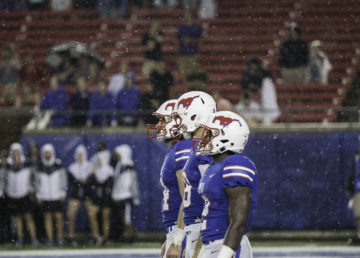 In YAF’s public stance, however, SMU’s supposed (and bogus) anti-Americanism, anti-patriotism and anti-freedom became a cheap opportunity for publicity and notoriety. 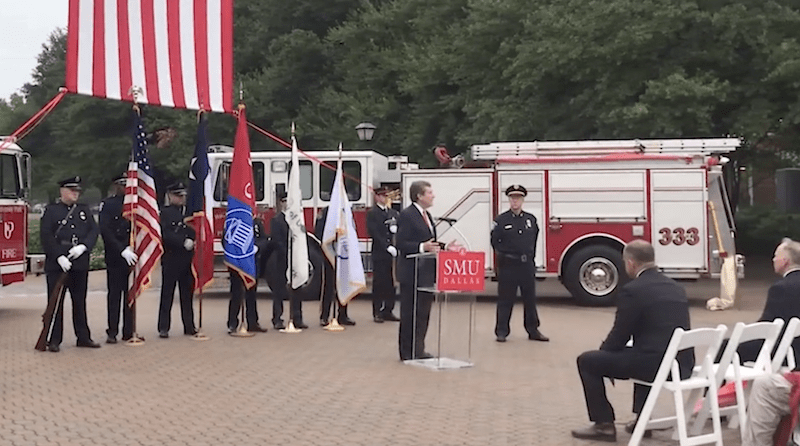 YAF encouraged the view that it is being persecuted and discriminated against for its conservative values, and in the process slammed SMU and President Turner as anti-American and anti-free speech. They are neither of those things—remember that this is the university where both Rafael Cruz and Dinesh D’Souza were allowed to speak without much resistance. Remember that the revised display policy affected all student organizations, not just conservative ones. President Turner is far from being, in the words of Ms. Lahren, a “snowflake leftist administrator.” He is, however, a fair and good one. 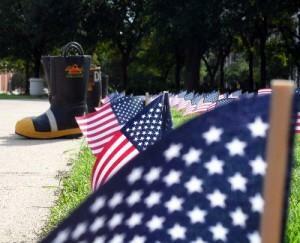 Second, and more important, shame on all of us for acting like lawn displays actually constitute productive discourse. News flash: they don’t. 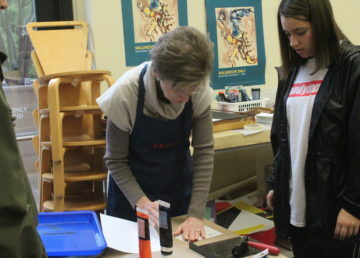 They might serve as conservation starters—and in the case of YAF’s display, they might aptly and indeed beautifully commemorate some important or tragic event—but they do not themselves constitute conversation. Only conversation does. Cheers to the Women’s Interest Network (now the Feminist Equality Movement) for its past tabling events, at which members actually talked with people about abortion and women’s health issues. We need more organizations to follow their lead. Lawn displays, in the end, amount to little more than self-congratulatory acts of ideological narcissism. Pats on the back are nice, but they quickly get old when they come from ourselves. Third, shame on everyone who was so quick to dismiss the validity of SMU’s statement about the possibility of displays “triggering” students. I too am skeptical of many aspects of so-called PC culture. There are reasonable lines to be drawn around sensitivity and cordiality and unrestricted speech, and we should think and debate hard about where exactly those lines fall. But I nonetheless fail to understand why certain people—from across the political spectrum—refuse to acknowledge that intense psychological trauma is a reality for many people, and that this trauma is often indeed “triggered” by particular events or situations. If we could help to reduce this trauma, why wouldn’t we? And why do discussions of “snowflake” students being “triggered” never consider the fact that millions of people all over this country struggle daily with mental illness, stress, depression and anxiety disorder? Why are we considerate to soldiers suffering from PTSD (and even then, not considerate enough), but not to people affected by other sorts of trauma? This isn’t a question of free speech or hyper-sensitivity—it’s one of common sense, kindness and simple human decency. Finally, while we were fretting about our precious displays, the list of far more important news items continued to flow in. It still does, every single day. We cannot become distracted by non-issues. We cannot afford to think that our lawn displays are accomplishing anything more than they once did just because they’ll stay in the same place they’ve always been.